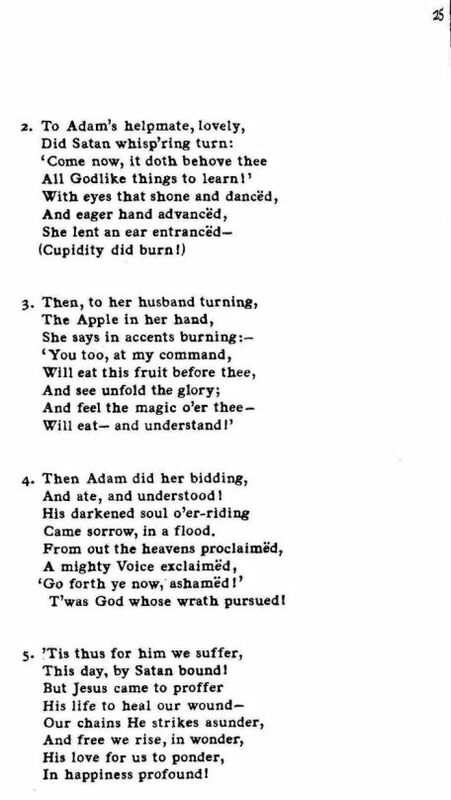 Source: Richard Runciman Terry, Two Hundred Folk Carols (London: Burns Oates & Washbourne Limited, 1933), Carol #89, pp. 24-25. And work his over throw. And naught he knew of woe. Came sorrow, in a flood. T'was God whose wrath pursued! This day, by Satan bound! 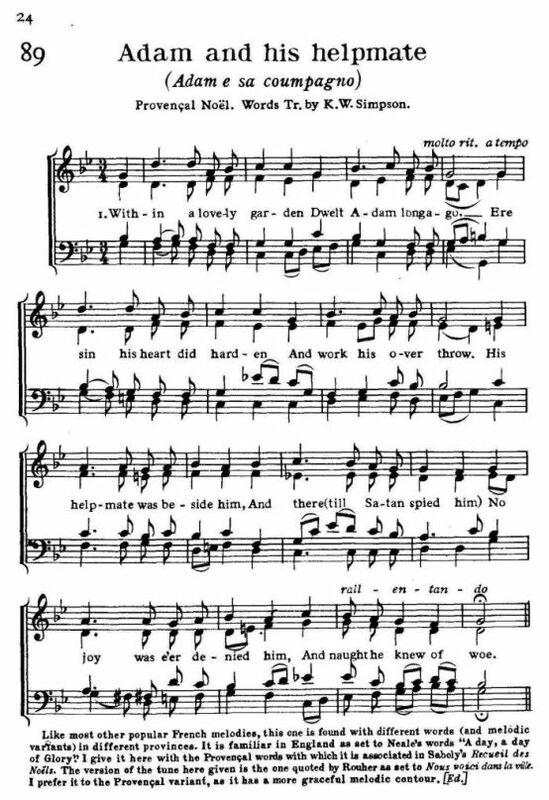 Sheet Music from Richard Runciman Terry, Two Hundred Folk Carols (London: Burns Oates & Washbourne Limited, 1933), Carol #89, pp. 24-25. Like most other popular French melodies, this one is found with different words (and melodic variants) in different provinces. 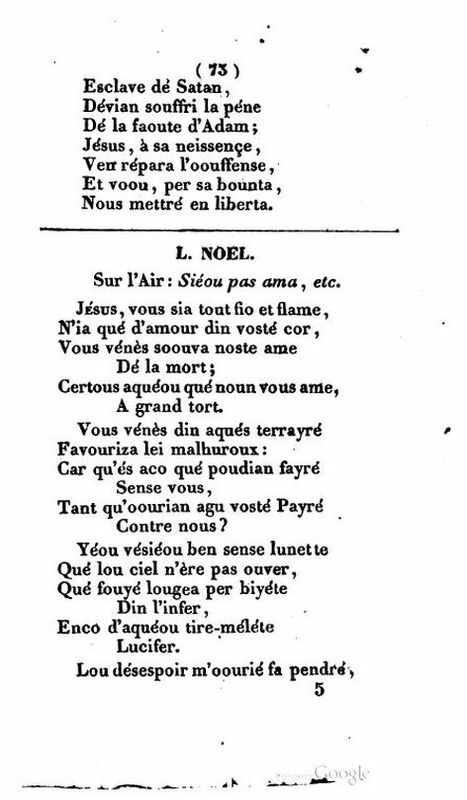 It is familiar in England as set to Neale's words “A Day, A Day of Glory.” I give it here with the Provencal words with which it is associated in Saboly's Recueil des Noëls. 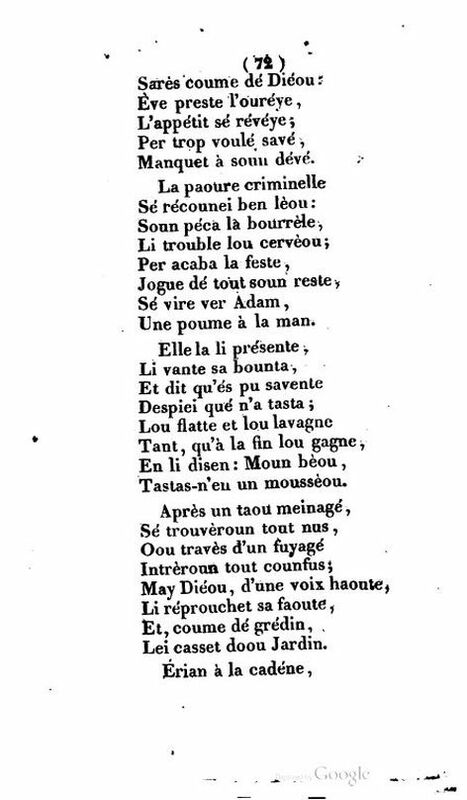 The version of the tune here given is the one quoted by Rouher as set to Nous voici dans la ville. I prefer it to the Provençal variant, as it has a more graceful melodic contour. 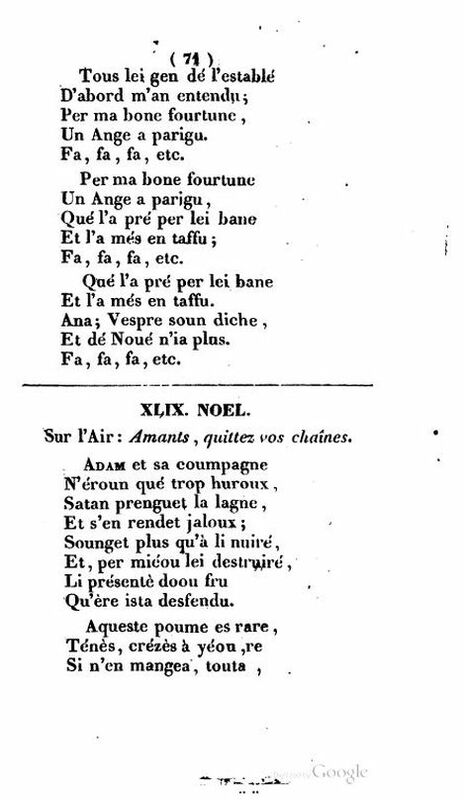 The text below is from Micolau Saboly, Recueil de noëls provençaux (Avignon: L. Aubanel, 1839), “Adam et sa coumpagne,” pp. 71-73, Sur l'Air: “Amants, quittez vos chaines.” [three jpg files available].